A Vintage Colorado Native I am native and even though I have lived in other parts of the country, I have always come back to Colorado. Does cethern belong in this group? Does davis4994 belong in this group? 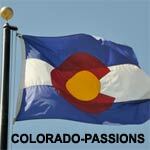 I'm a "Unicorn" - a CO native I've lived in other states but have always returned here as it is where my Heart resides. Looking for new experiences with new friend(s) I'm fun, in-shape and drama-free. Does colofirefighter belong in this group?